Firstly: YES THOMAS!!! Omg, I wondered whether they saw each other anymore and this, this makes my little RPS heart sing! And SV dolls are possible??!!! How did I not know this?? I *must* have them!!! And isn't that herohunter's manip in the background? I wondered whether they saw each other anymore and this, this makes my little RPS heart sing! And SV dolls are possible??!!! How did I not know this?? I *must* have them!!! 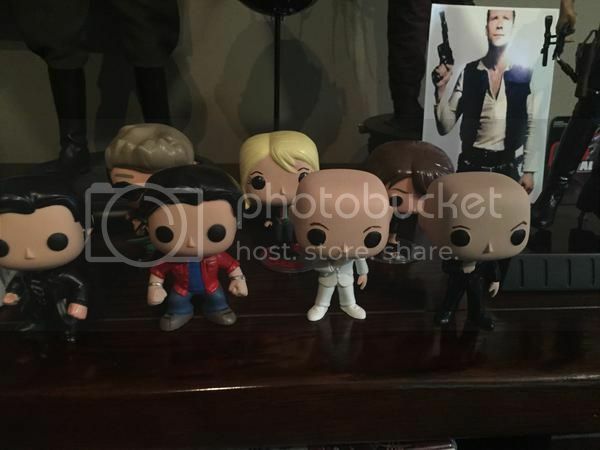 Apparently you can build your own funko dolls and a fan made a set for Michael! And yes, that's HH's manip. 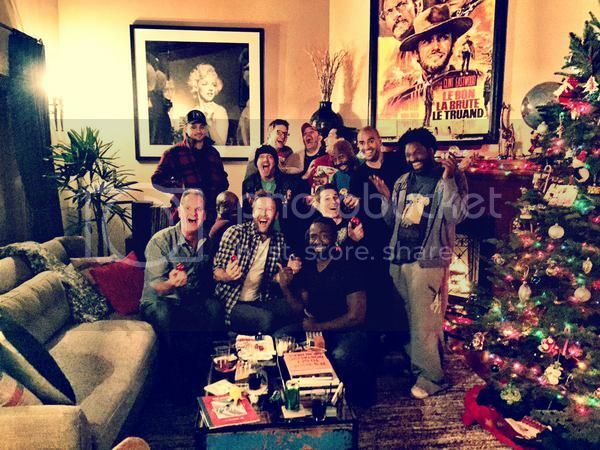 Michael and Tom hanging out together makes me so happy! *draws hearts around them* I know some Tom fans on Twitter are not convinced, but I certainly am, especially since he's wearing his latest favorite hat. I hope one topic of conversation was a guest role on Impastor for Tom! That fan must have spent hours making those custom Smallville Funkos, what a lovely gift for Michael. The recent release of the Supernatural figures has inspired more than one SV fan because Sam is almost a perfect Clark right out of the box. Michael's podcast interview was such a treat. 90 minutes long and with video to boot! I loved his improvised songs and the phone message from his grandmother, too funny. I also appreciated his insights about BITD and how it was received. He made the movie he wanted to, had a blast doing it, and he's thrilled to have entertained people. Fun pics! I do believe it's Tom. I'm really happy that they keep in touch. Me too! I would love if they worked together again! I still need to catch up on this podcast but it sounds like fun! I am imagining Michael studying lots of delicate little cat faces now, heh! Heee!! Those Funko's are sooooo adorable!